It is known as "China's Apple", not least because of the perceived similarities between some of its devices and the iPhone. In fact, some have accused Xiaomi, which currently operates only in Asia, of blatant copying - a charge it has denied. And analysts predict legal challenges as it seeks to move into new markets in the West. "Ericsson [temporarily] blocked the sales of the Xiaomi handsets in India for patent infringement, and Apple has publicly accused Xiaomi of stealing some of its designs," said Ronan de Renesse, lead analyst in consumer technology at Ovum. But, as Xiaomi unleashes its latest devices - a 5.7in (14.5cm) phablet that is thinner than the iPhone 6 Plus and significantly cheaper at 2,299 yuan ($371; £244), and a Pro version with a faster processor and higher resolution display costing 3,299 yuan ($532; £350) - the company will be hoping comparisons to Apple become altogether more flattering. While the device is not as visually similar in design to rival Apple products as some of its forebears, were neither is it a reinvention of the phablet. Besides registering thousands of patents, Xiaomi has departed from the approach of some of its rivals, trumpeting the incorporation of components produced by other manufacturers. We're not just some cheap Chinese company making a cheap phone. It may be less well-known in the West, but it recently leaped into third position in the global smartphone market. And, in December last year, Xiaomi, launched in 2010, was valued at $45bn (£29.8bn), making it the world's most valuable technology start-up. Image caption Unlike some of its competitors, Xiaomi has made a virtue of using components made by other manufacturers. Moreover, in what was a major coup, it hired former senior Google executive Hugo Barra to lead its expansion. At the launch of its Mi 4 phone last year, of which Xiaomi later claimed to have sold more than a million handsets in a 24-hour period, its chief executive Lei Jun admitted approaching the same manufacturers that produced the parts for Apple's iPhone. Image caption In September 2013, chief executive Lei Jun told the BBC Xiaomi would be entering Western markets within "one or two years"
The devices he has produced are relatively low-cost - often half the price of the competition - with thin profit margins. They are sold only online, lowering Xiaomi's overheads. And, while some have called them flimsy, other critics have praised many of the phones' features. Last year, the firm said it had surpassed its target of selling 60 million phones, up from less than 20 million in the previous 12 months. And, in an interview with the New York Times, Mr Lei dismissed the idea that his company was just a bargain-basement alternative, saying: "We're not just some cheap Chinese company making a cheap phone. We're going to be a Fortune 500 company." According to Mr De Renesse, "Xiaomi represents a new generation of smartphone companies based in developing Asia". He said that Xiaomi's focus on online sales allowed it to concentrate on distribution and limiting supply, "so that no devices remains unsold and inventory is gone in record time". He added: "Its success can also be attributed to its excellent work at managing customer experience. It takes into account customer feedback and constantly update its devices' software and content offering accordingly. "This helps the company build a very strong smartphone brand in its core market China, which is key to maintain customer loyalty." Besides mainland China, Xiaomi is operating in Hong Kong, Taiwan, and Singapore, as well Malaysia, the Philippines, India and Indonesia. In September 2013, Mr Lei told the BBC Xiaomi would be entering Western markets within "one or two years". 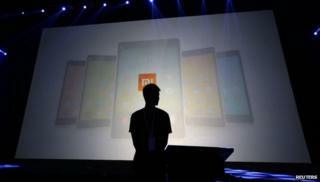 And there has been speculation that Xiaomi will soon make its move on the US market. Also in 2013, the company appointed Mr Barra, with a plan to make people talk about Xiaomi "in the same way that they talk about Google and Apple". "There are several roadblocks to Xiaomi international expansion," said Mr De Renesse. "Smartphones are distributed differently across countries. For example, operators are key distributing partners in Europe, and Xiaomi would have to work with them if it were to launch in the UK. "The software and services the company has developed for its phones need to be customised for each country to handle different languages and tastes in content."